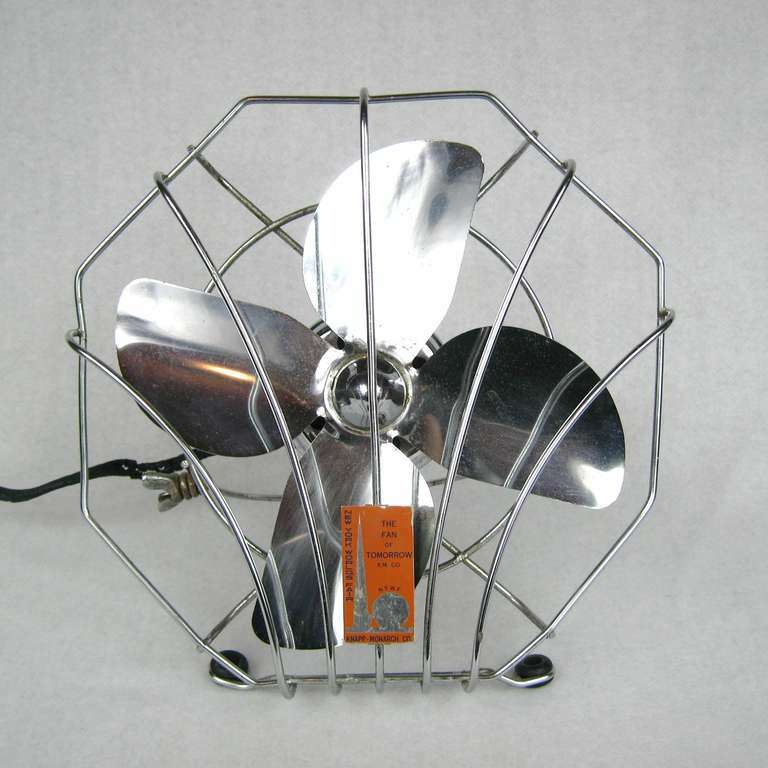 This is a very rare, extremely unusual original 1939 New York World’s Fair fan. There is a plaque mounted on the front cage that says New York Worlds Fair. 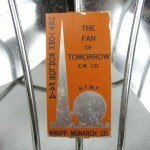 Knapp-Monarch Co. “The Fan of Tomorrow” in orange and blue, along with the “Trylone and Perisphere. 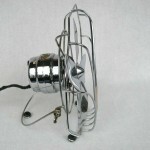 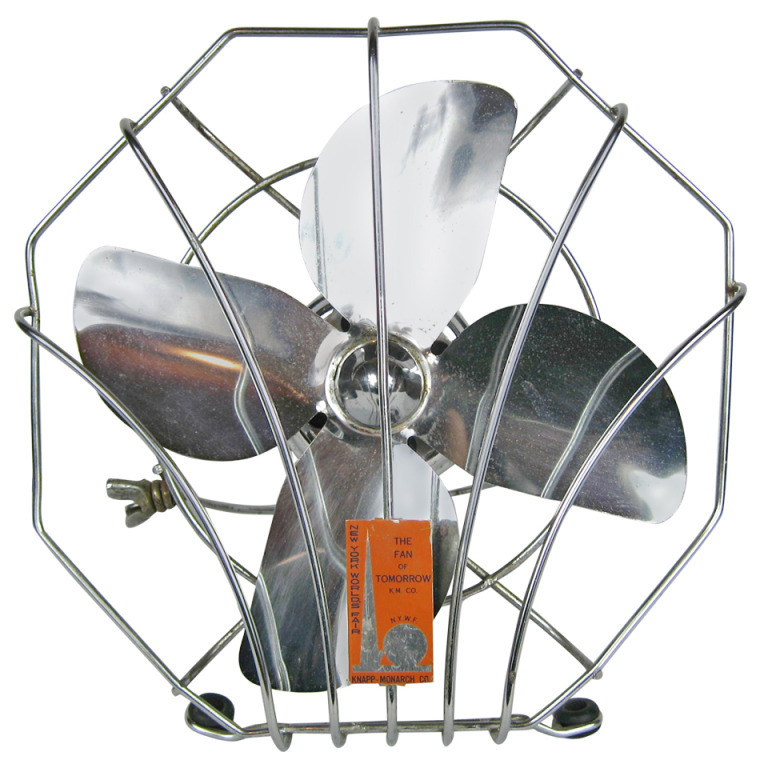 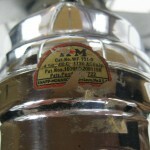 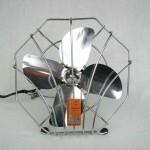 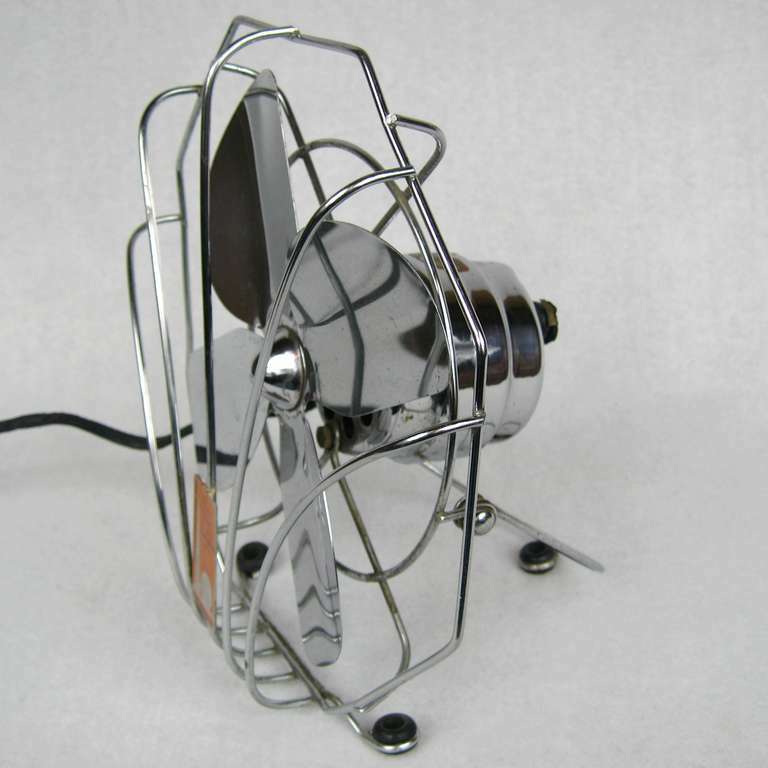 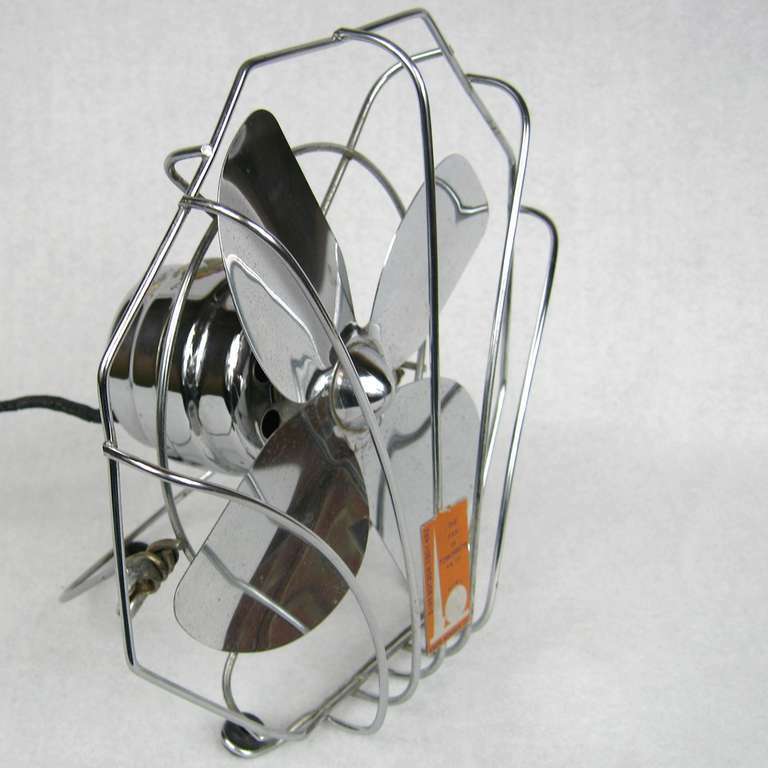 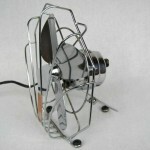 This chrome table fan measures 9” w x 9” h & about 5”d, and has an adjustable rear leg for positioning. 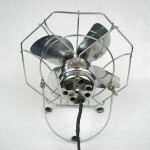 The motor housing is covered in original black crinkle finish that is also carried through to the bullet cone on the front of the blades. It is in working condition. 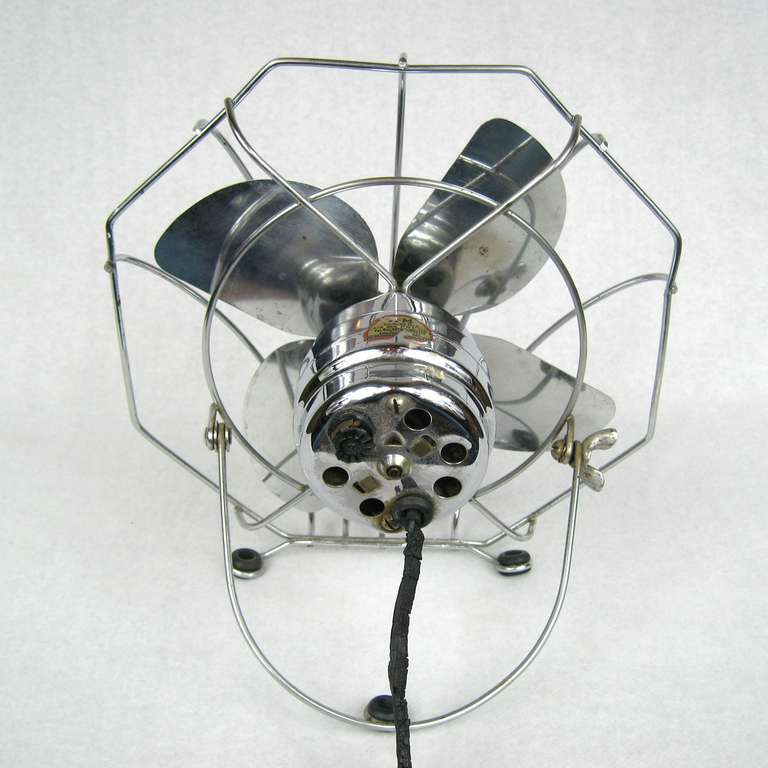 (and obviously not child safe) It is very rare and unusual to find this 1939 NYWF fan. 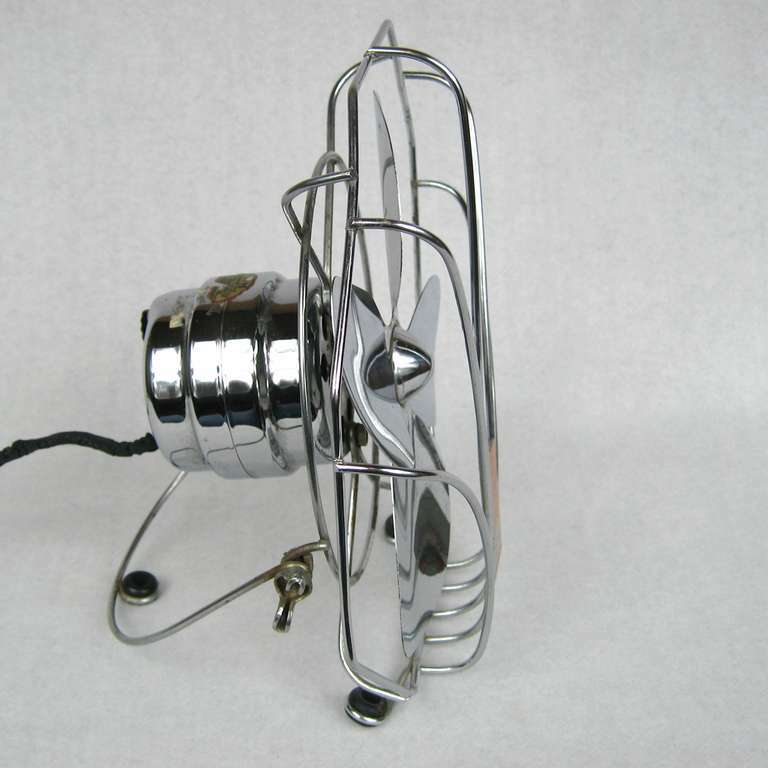 I have not seen one pictured in any World’s Fair book.